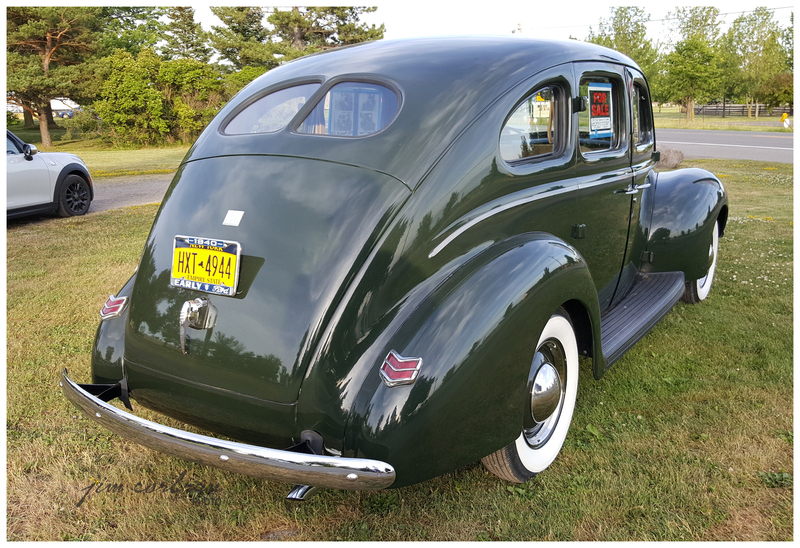 When we came across this 1940 Ford DeLuxe Fordor sedan last summer, it was wearing a For Sale sign which stated: "V-8, three-speed, older restoration. Runs, Drives, and Stops good. $14,900." It disappeared a while after we passed by, and I always wondered if it got sold. 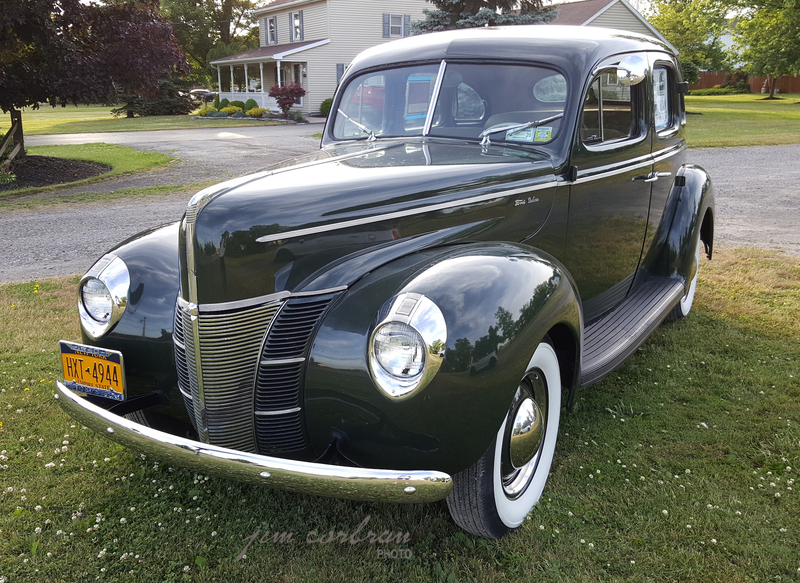 The ’40 Fords were very popular back in the day with customizers and hot rodders, which makes it all the more remarkable that this one seems to have survived in stock condition. The DeLuxe was also available as a Tudor (two-door sedan), as well as a coupe, business coupe, and convertible club coupe. Seen in Niagara Falls.